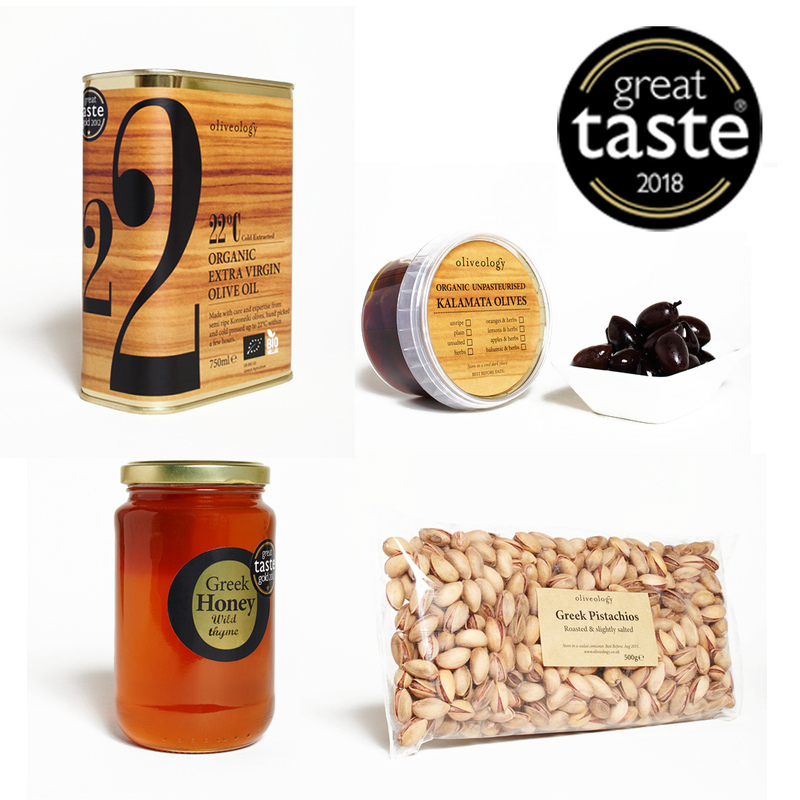 Great Taste Awards 2018 – The Winners! This week we’ve got some exciting news to share with you! Four of our wonderful products received Great Taste Awards! We are very proud to share them with you, as well as some of the judges’ comments. We look forward hearing your own comments –or tell us which of our products is a winner for you! Greek pistachios are renowned for their wonderful flavour, their beautiful pink exteriors and vibrant green kernels. The area surrounding the island of Aegina combines optimal soil conditions and a perfect maritime climate. A pistachio growing zone par excellence, Aegina offers fresh, vibrant flavoured nuts. The judges commented on the rich, full, long lasting flavour and were impressed by their pink and green colour. These olives are from our single estate farm in Sparta, Greece. They are hand picked, unpasteurised and cured in fresh water. They are marinated in extra virgin olive oil, ouzo, star-anise and fennel to produce a unique Greek olive taste. This mid harvest olive oil is made from semi ripe olives. 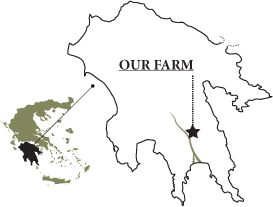 It comes from our single estate farm in Sparta, Greece. It is single variety (koroneiki), and harvested by hand. Cold extracted up to 22°C and unfiltered, this olive oil has a mellow quality and a silky smooth texture. Our wild thyme honey comes from the Taygetus mountains in Greece. It is a monofloral nectar honey from predominantly wild thyme flowers. It is, of course, raw: unfiltered and unpasteurised. With a lovely, golden colour, its intense, aromatic flavour lends it to a wide range of culinary uses. We look forward to stocking up our pantry and cooking up wonderful recipes with these (awarded!) Greek products. Join us! This entry was posted in Awards, News and tagged awards, honey, nuts, olive oil, olives, ouzo olives, pistachios.